[Update] Eurogamer got the following comment from Ubisoft regarding Watch Dogs 2 sales. We’re incredibly happy with critics’ and players’ very positive reception of Watch Dogs 2, which should bolster support for the long-term success of the game. It is true that first-day and first-week sales for a number of big games, including Watch Dogs 2 and titles from our competitors, are comparatively lower than previous versions in previous years. However, we expect both week-two and week-three sales to be above traditional sales patterns. There is a trend toward games, especially high-quality games, having stronger and longer ‘tails’ as favorable reviews and word of mouth spread. Watch Dogs 2 is already considered a tremendous addition to the open-world action adventure series and we’re confident that millions of players are going to love it. 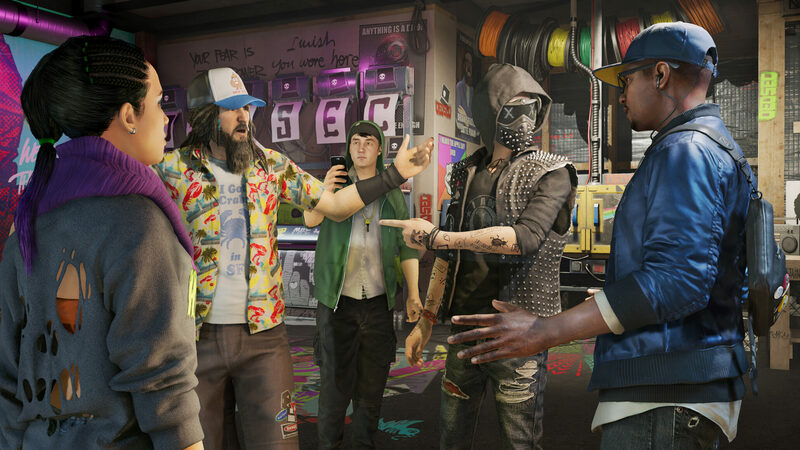 [Original Story] Early Watch Dogs 2 sales are far from encouraging from Ubisoft, at least in the United Kingdom. According to Gfk Chart-Track, Watch Dogs 2 sales allowed Ubisoft’s game to reach the second spot on the Top 10 chart just below Activision’s Call of Duty: Infinite Warfare. However, Chart-Track mentions that Infinite Warfare sales were down 46% from last week. This indirectly gives us a ballpark of Watch Dogs 2 sales being below 80K, which is a massive drop (about 80%) compared to the first game’s 380K units sold in its debut week. Lower sales for this sequel were expected even by Ubisoft, with executives admitting during the latest earnings call Q&A that pre-orders were not as high as initially hoped by the company. That said, this result is probably even lower than their adjusted estimates. To be fair, the first Watch Dogs game received an incredible hype due to its debut trailer at E3 2012 where it was hailed as the first next-generation game. Even the subsequent graphics downgrade debates were not enough to put a dent in that hype and the game went ahead to ship over 10 million copies; it also briefly held the record for biggest first-day sales of any Ubisoft game and biggest launch of a new IP ever in the game industry. The game itself proved to be highly divisive among critics and gamers alike, though, which in turn meant that Watch Dogs 2 didn’t have nearly as much hype prior to its release. This, alongside a very different release window opportunity (the first game launched in May 2014 with no major competitors by its side, while this sequel released right in the midst of the 2016 Holiday season), is producing a disappointing result for Watch Dogs 2 sales so far even with critics praising the new game as an improvement over the original. It should also be noted that Watch Dogs 2 was only released so far on PlayStation 4 and Xbox One, with the PC version due on November 29th, while its predecessor launched on more platforms including Xbox 360 and PlayStation 3 (later even Nintendo’s WiiU). Moreover, Ubisoft’s latest open world game is far from the only title to deliver disappointing sales in this Holiday season in what could be an industry trend. We’ll have our own review of Watch Dogs 2 shortly, so stay tuned.